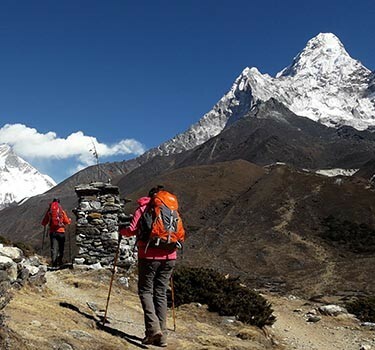 "Free your mind and escape into the beauty that captures your heart during Tsum Valley Trek." Set off for a journey to marvelous and ecstatic Tsum Valley Trek, that standout amongst the most awesome treks in the Himalaya. 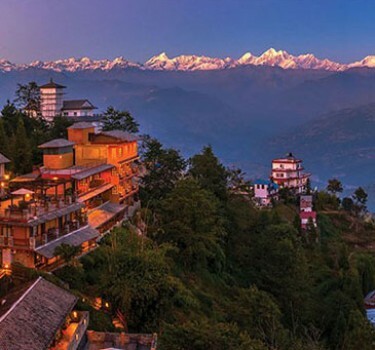 Located against the majestic backdrop of the Ganesh Himal, Sringi Himal, Boudha Himal ranges, Tsum Valley, outstandingly considered to be a blessed Himalayan journey into a naturally and culturally mesmerizing valley that offers diversified primitive art, culture, and religion. Tsum comes from the Tibetan word ‘Tsombo’, which means vivid. The lush and wild landscape of Tsum valley passes through magnificent deep gorges, hamlets, gompas, chortens and the glittering snow on the apex touching mountain peak. Relatively few trekkers take this trek that is why modernization and commercialization have not touched the purity of the environment. Much of the trek involves walking on mountain trails and is within the capabilities of people with good adequate fitness. 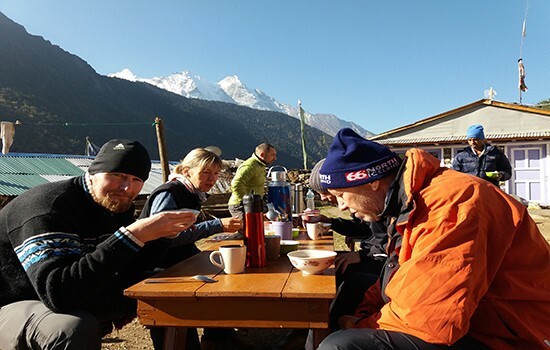 You will start to look at your own life differently after spending a few weeks in the various home stays or tea houses along the trail. 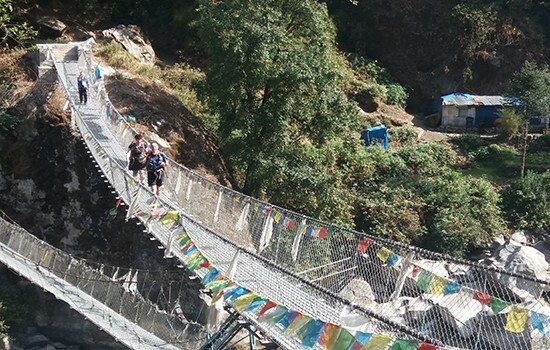 Tsum Valley Trek is a recently opened trail, comparison to the other popular regions; this region is relatively virgin with less beaten paths. Though the region has a difficult terrain, rough steep tracks, and very simple accommodation, since, last few years this region is gaining huge popularity and offering the finest trekking experience in Nepalese Himalayan. During our journey, everything we encounter on our trail gives a likeness of Tibetan Buddhist culture. Coinciding your visit with local festivals of Dhacyhang, Lhosar, and Sawa Dawa will be the perfect moment to get a minute observation of the unique local culture and tradition. The delightful journey will take you into the majestic surroundings of the Kang Guru, Cheo Himal, Ganesh Himal, Boudha Himal, Sringi Himal, and Hiunchuli. From the forests, teeming with life, at the beginning of the trail, to the barren, rocky highlands above the clouds, you will constantly be amazed. 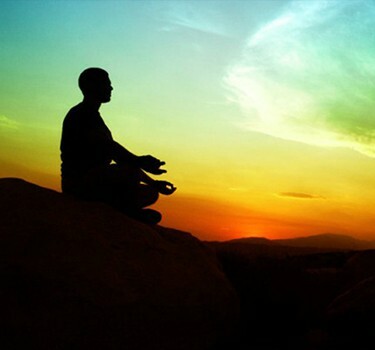 Your biggest worry will only be ‘where is the next best view? 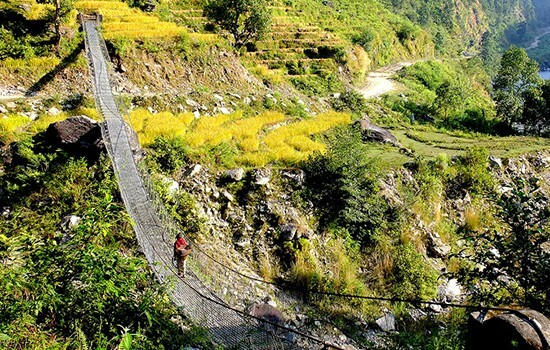 Visit a remote part of Nepal and experience varieties of Nature and Culture. Attractive views of Himalchuli (7,893m), Manaslu (8,163m), Annapurna range, Shringi(7,187m), Ganesh Himal, NgadiChuli (7,879m) and other mountains. Trekking through the subtropical jungle at lower elevations, to the Himalayan foothills and best view-point of this region. 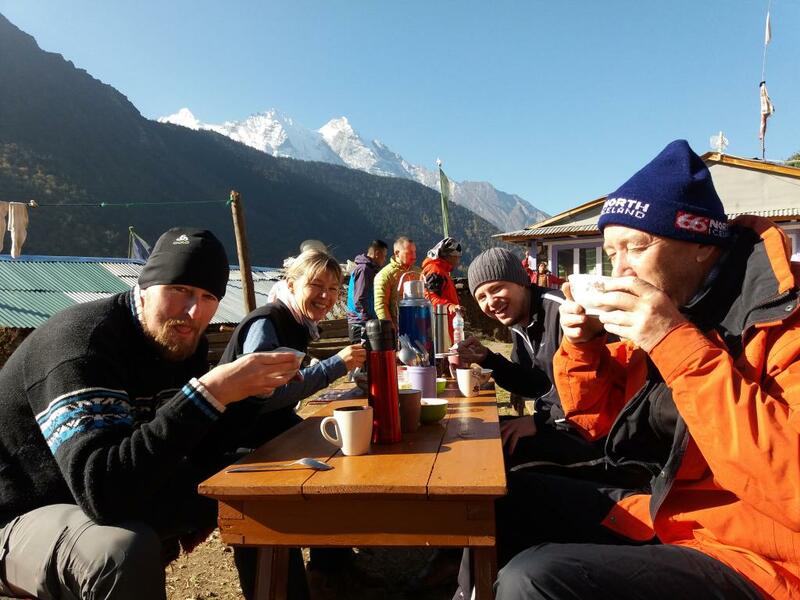 Magnificent views of Mount Manaslu, Ngadi Chuli, Mount Himalchuli, and Ganesh Himal. 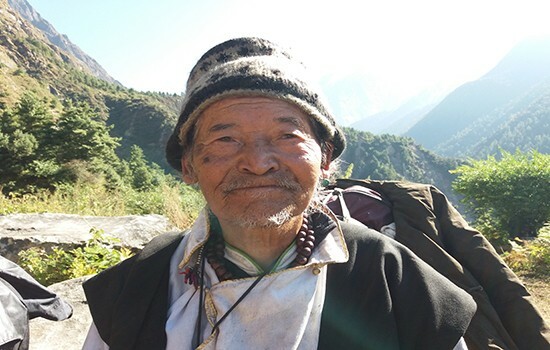 Explores small villages, the culture of Tibetan origin people living alongside the trails. 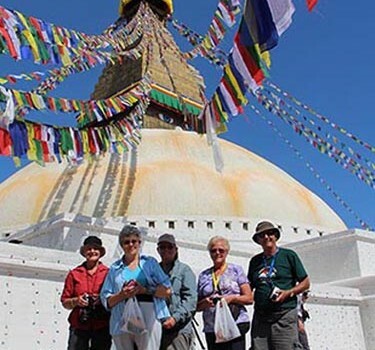 The Following dates and prices are LAND ONLY itinerary joining in Kathmandu. Please make your own flight arrangements. If you need some help to arrange an international flight, we can suggest you some agents who are specialized on ticketing. BOOK WITH CONFIDENCE - No surcharge guarantee whether you are booking for this year or the next, we have undertaken to guarantee that all of our Land Only prices will not change once you have booked your holiday. DATE WITH FESTIVAL & EVENTS - recommended If you are planning your holiday and want to have once in a life time experience then chose the date that combined with events or festivals. It will enhance an experience of life time in your holiday. You can also use this tour as a base for a tailor-made itinerary. Like your personal architect creating your one-of- a-kind home, our Travel Specialists will execute the trip of a lifetime. It's all up to you - logistics, pace, budget, dates, performances, visits, explorations, meals and lodging are hammered out down to the finest customized detail. Please fill in our tailor-made request form. If you do not want to join a group then you can also make this a private trip with your friends and family one at your own schedule. 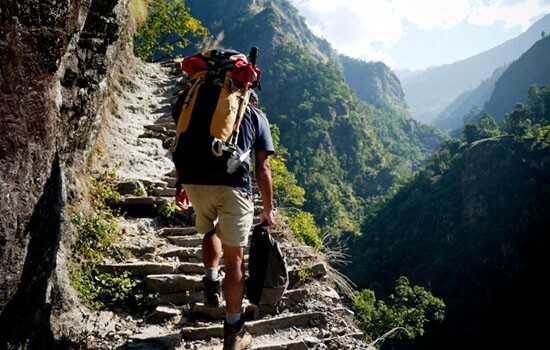 Considering this, Trekking Team Group organizes private journeys as well. Please choose your own departure date. You will be taken for sightseeing of Kathmandu Valley to explore the vibrant city after breakfast at your hotel. Drive to famous Buddhist Stupa Swayambunath, also known as Monkey temple, on the hill of Kathmandu Valley where you can see stunning view of mountains and Kathmandu valley. This temple attracts Buddhists and tourists from around the world. 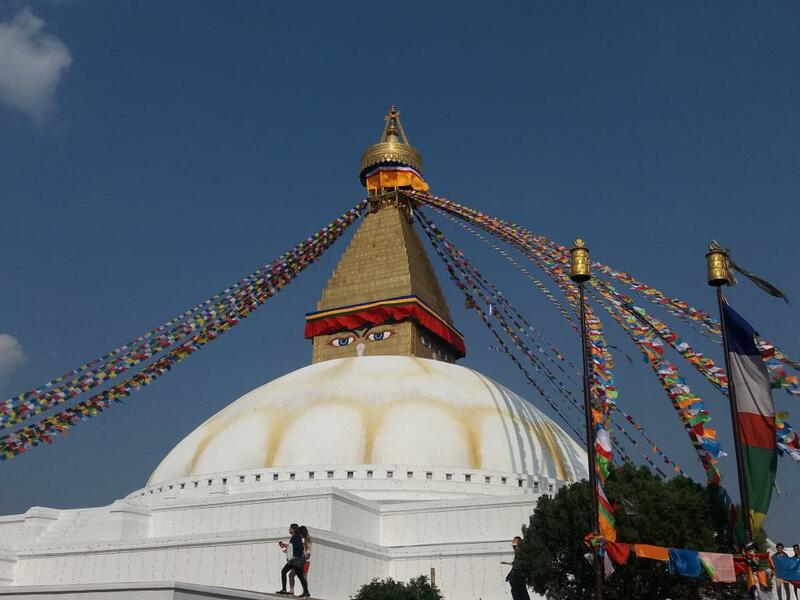 Swayambhunath Stupa is the most ancient and enigmatic of all the holy shrines in Kathmandu valley. Its lofty white dome and glittering golden spire are visible from far and wide. Next is Pashupatinath, the temple of Lord Shiva. This is probably the most famous temple for Hindu in Indian Sub-continent. There is crematorium beside the temple where dead bodies are burnt to ashes. After exploring Pashupatinath you will visit fascinating sights of Patan Durbar Square, one of the most glorious examples of traditional Nepalese architecture, full of centuries old temples and palaces. After breakfast you will be taken to the scenic drive to Arughat bazaar along the Trishuli river. One can explore scenery and rural lifestyle. You will be driving to Dhadingbensi from Kathmandu. Further you will drive north to Arughat from Dhadingbensi, the district headquarters of Dhading, for few hours. Finally you reach Arughat Bazaar (670m), a clustered settlement on both sides of the Budhigandaki river linked by a suspension bridge. It is the popular trade centre in the region. Drive further towards Soti Khola. Overnight in Soti Khola. Your day will begin with breakfast at your hotel. After crossing a bridge the trail passes through beautiful Sal forest. 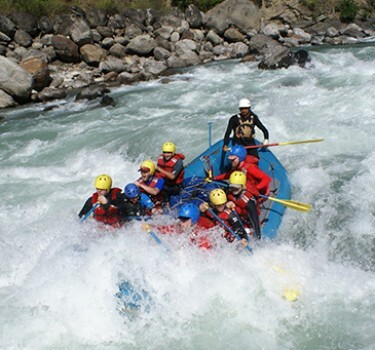 Then you climb into a ridge above huge rapids of the Budhigandaki. You will pass a number of small of villages.You will climb further behind a outcrop until you reach a wide valley at the confluence where a large tributary mixes at the Budhigandaki river. You will descend along the wide sandy riverbed. 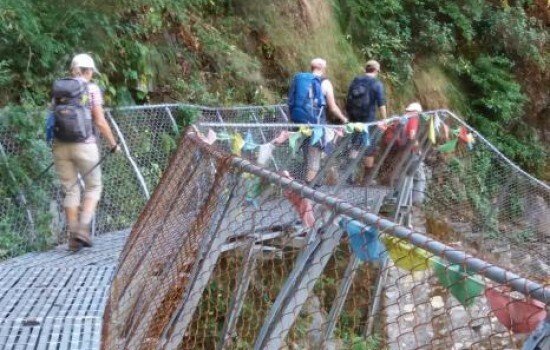 Cross another suspension bridge to reach Machha Khola village. Overnight in Machha Khola. You will cross a stream named Machha Khola. The trail is full of ups and downs. After crossing the Tharokhola stream you will head upstream to the tiny village of Khorlabesi. After few more ascends and descends you will come across a small hot spring in Tatopani. The route now switches to the left bank of the river through a suspension bridge. Climbing on a wide, well-crafted staircase you will finally reach tea house at Doban after crossing a short section of forest. 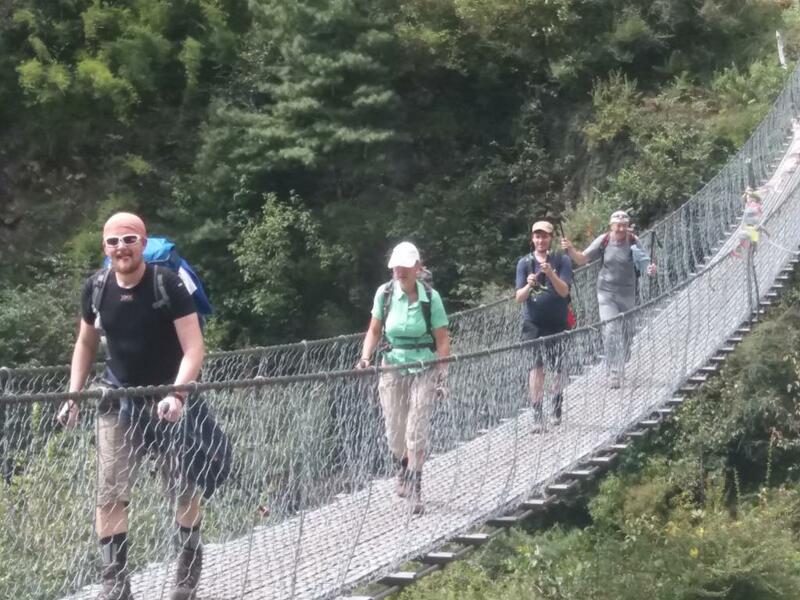 After crossing a suspension bridge over the Yaru Khola, you will climb again over a ridge, trek along the river and ascend towards beautiful village of Jagat. Overnight in Jagat. After ending with the ACAP procedure, we tend to climb over a rocky ridge to Salleri, and so descend to Sirdibas. The herbal melancholy widens a touch because the course continues up to Ghatta Khola. Continue upstream to a protracted simple putting bridge. Climb up to Philim, an outsized gurung village. Philim herbal depression is frequent for Japanese created faculty and station. Walk previous Philim to the north across a woodland with the views of the narrowing herbal melancholy and stroll up north from Gum Afghan monetary unit we have a tendency to attain Lokpa. Night at Lokpa. The Chumling village is a small Buddhist village and has less number of habitants. The village is well-known as there is a monastery and it presents a picturesque view of the majestic Ganesh Himal. To attain Chumling, we descend through green forests, move bridges and climb sturdy but frightening stairs. We ascend north thru pine forests and steep slopes. With each step, the Tsum valley displays itself. 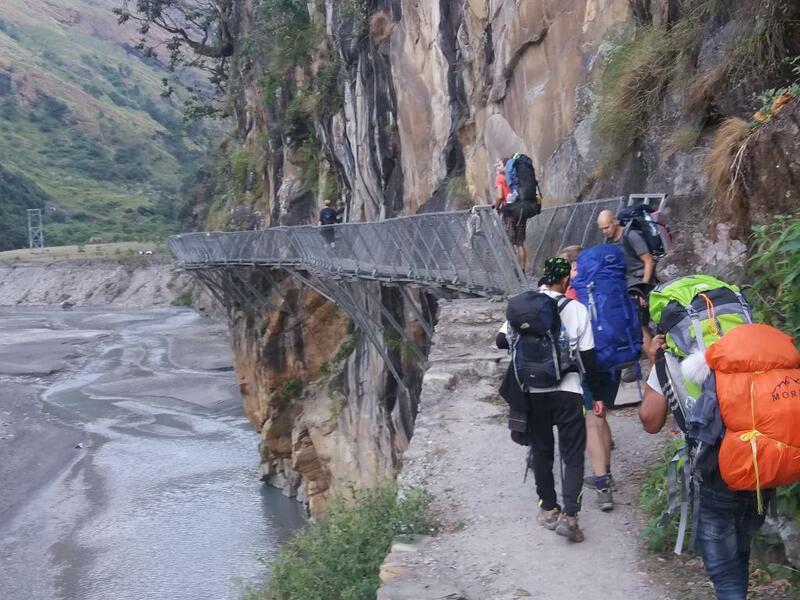 Be careful whilst crossing the wooden bridge of Shiar Khola as the bridge is dangerous. From Chumling the time if for Chhokangparo (Upper Tsum) trekking. Upper Tsum valley opens from Chhokangparo. 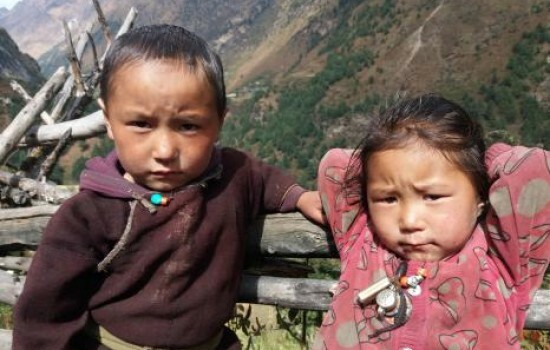 Chhokangparo is a tiny village positioned on flat surface and has two villages Paro & Chhekam. From the village, we can have a majestic view in the south and Buddha Himal and Hiunchuli in the south west. From Chhokangparo we will trek to Nile/ Chulle which is located in the western facet of Shiar Khola. This is the last village in the top Tsum valley. On the way we will go to Piren Phu cave which is additionally one of the holiest caves in the Tsum valley. The cave is positioned in the foot of rocky cliff near the village of Burji. A well-known Tibetan saint name Milarepa was believed to have pondered here. 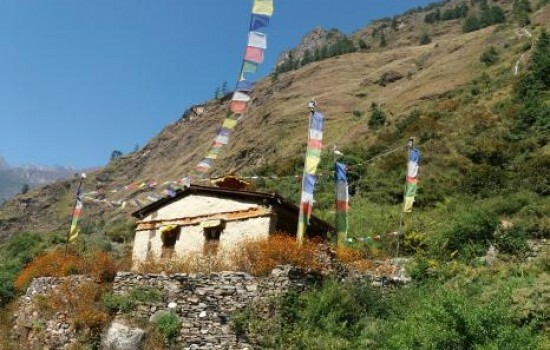 The location has two separate gumbas delivered to the rocky cave which have Buddhist murals painted, wonderful inventive scripts carved on stones, lengthy prayer flags and good sized Buddhist paper scripts making this cave socio-cultural asset in the valley. The cave gives mind-boggling view of Shiar Khola, Rachen Gumba and beautiful settlements in the middle of extensive agricultural land. 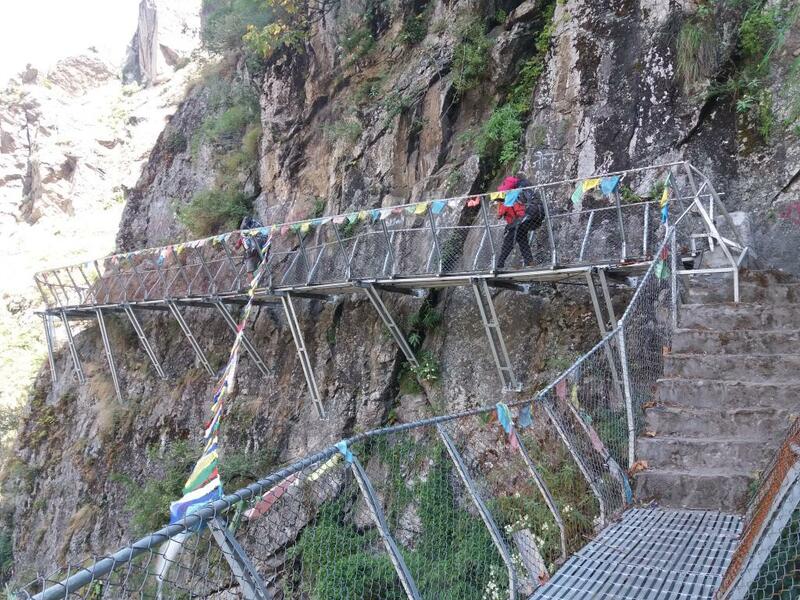 We will head for Mu Gompa which is the final destination of our trekking. Basically it will take 3-4 hrs from Nile to Mu Gompa. We need to go through wide mountain vistas and numerous chortens. The Gompa lies on the highest and at the most remote part of the Tsum Valley. 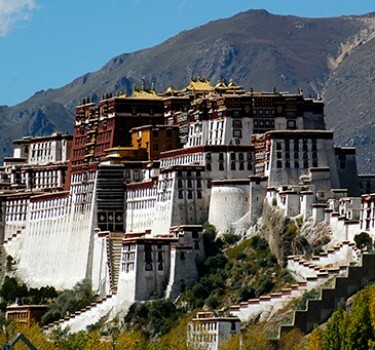 At the monastery, you can see monks busy in their daily routine and the breath-taking view of the border of Tibet. After exploring Mu Gompa, we will then head back to Nile. From Nile, we will now trek down for Chhokang Paro about 5-6 hrs. This day we can enjoy glimpses of the Punchen Himal which is unique in shape. This day we continue our descent by retracing the path from our ascent . We will stay night at Chhokang Paro. Early in the morning we will have decent trekking to Lokpa. On the way, we will explore beautiful village of Philim. We will have decent trail all the way to Lokpa while crossing several pine and fir forests on the way. Many wildlife can also be seen on the way. We will stay that night at Lokpa. We continue our decent trekking from Lokpa to Jagat. We will explore Gurung village on the way to Jagat. Walking about 2-3 hours from Lokpa to Jagat we will have many southwest, waterfalls, and many species. 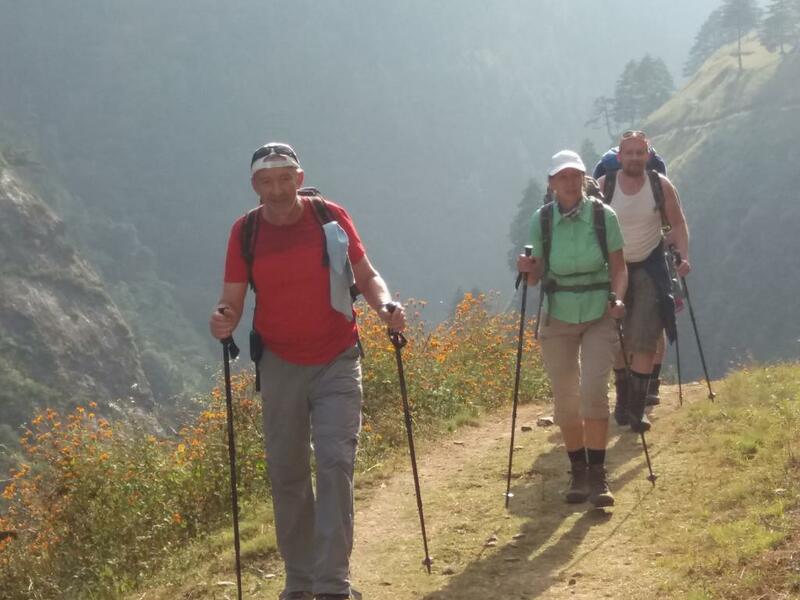 The trekking trails are easy as we are descending towards Machhakhola for 5-6hrs passing the Gurung and Brahmin village and crystal clear water falls makes the trekking more fun. We will stay overnight at guest houses or homestay. 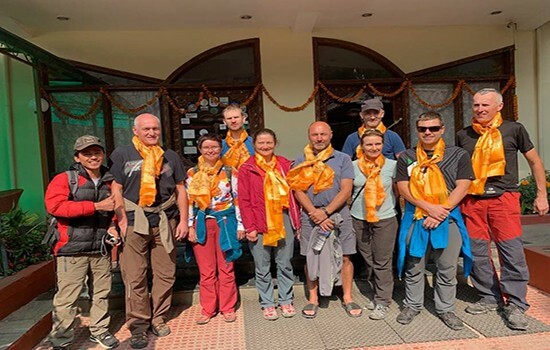 This is the last day of trekking where will have decent trekking from Machhakhola to Soti Khola and end at Arugath Bazar and we drive back to Kathmandu. 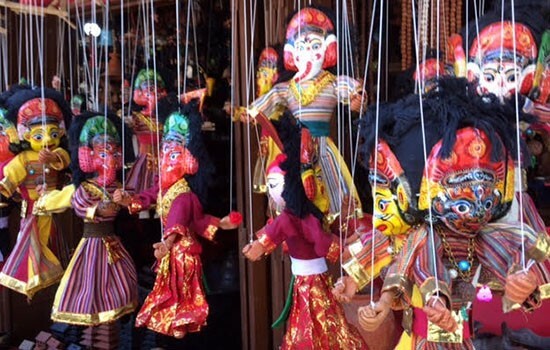 It’s a leisure time in Kathmandu, where the rest of the day is free for shopping, sightseeing or relaxing. This is an extra day in case of bad weather. Free time to explore Kathmandu before setting for the airport. Your final day in Kathmandu is a free day. You do as you like. Many people take the time for shopping others enjoy exploring the cultural sites of the city. Our local guide can advise you on the best shops in the area. Farewells! Our airport representative will travel with you to the airport. This is ADVENTURE travel, and many of the trip destinations in this site are remote areas, within under developed countries, where events are less predictable than is usually the case in. The unexpected is the norm in these areas and, despite painstaking planning and organization, our adventure trips can never be taken for granted like regular trips. Many of the places that we visit do not have the same quality of emergency health and safety services that you are used to in the developed world. Internal flights can be canceled, road transport is generally uncomfortable and unreliable, and hotels often do not approach the standards of the West. IF YOU ARE NOT PREPARED FOR THIS, YOU SHOULD NOT TRAVEL WITH US. This unpredictability also means that the itineraries that we put forward for each of our trips should be seen as statements of intent, rather than as contractual obligations. A variety of factors, including weather, transport difficulties and political instability, might dictate that we change any itinerary. 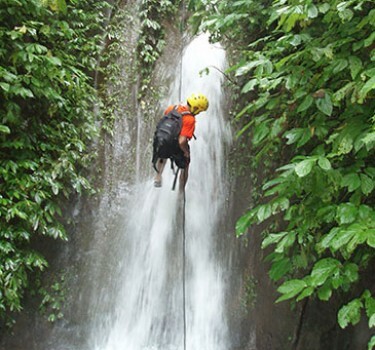 The trip leader will make any changes that are necessary, after consultation with the group.  Only rarely will such changes be significant, and we will always do everything within our powers to minimize the effects of the enforced changes. We cannot be held responsible for the results of changes or delays, irrespective of how they are caused. 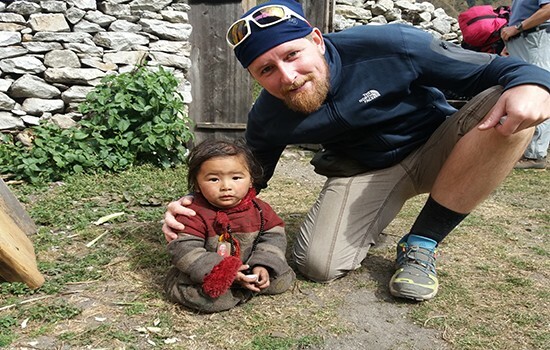 Trekking Team Group donates one percentage of its total business profits to the foundation on yearly basis. The donated amount supports the ongoing maintenance of Gramin Devi School and Khumbeshwori School in Nuwakot. One of the major activities of Ambe Foundation is the children sponsorship programme. 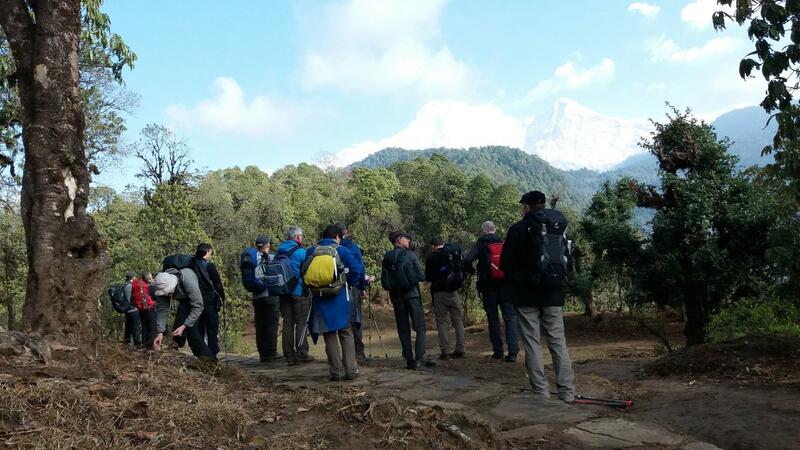 It is conducted in full collaboration with Trekking Team Group. 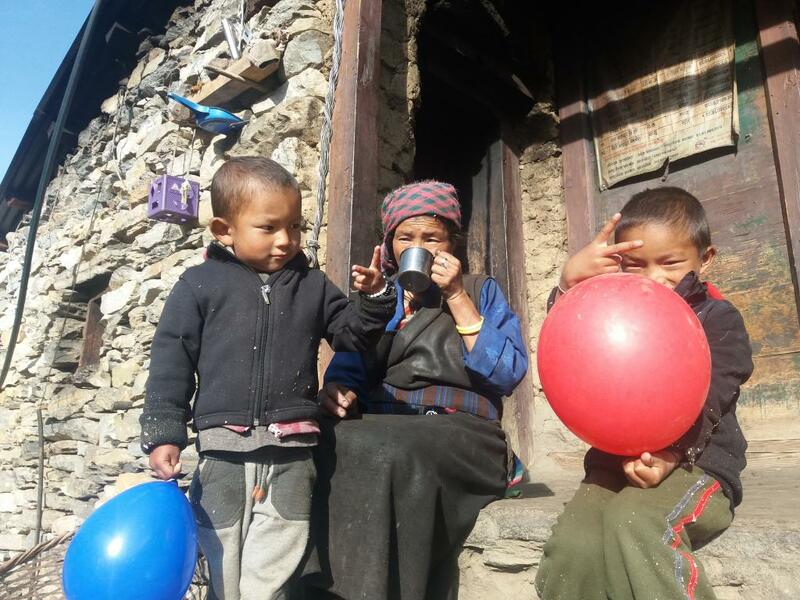 The Ambe Volunteer Programme, organised by Ambe Foundation and Trekking Team Group, aims to mobilise teams of experts and interested individuals effectively for education, health and community development in Nuwakot district.